The Diez Y Seis opening of the traveling A Tejano Son of Texas exhibit at the LBJ Museum of San Marcos kicked off the awareness and celebration of National Hispanic Heritage Month here in San Marcos. The exhibit comes to us from San Antonio-based TexasTejano.com (Rudi R. Rodriguez, President/Founder), a firm with its primary objectives in history, research, publishing, and communications and dedicated to preserving the legacies of early Tejano pioneers. 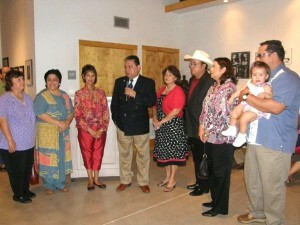 Funding was provided by the San Marcos Minority Tourism Development Board. 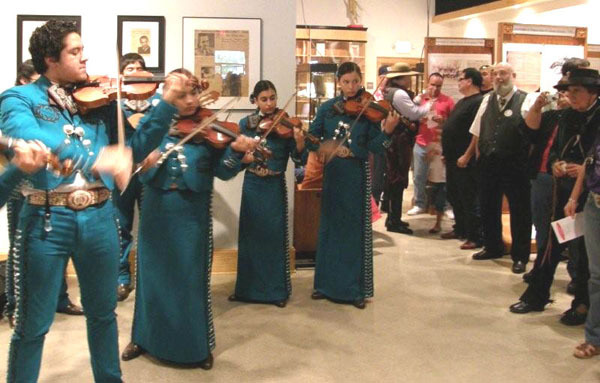 The evening’s festivities began with a performance by the San Marcos Mariachi Academy, with director Frank De Leon explaining the history and development of mariachi music. The event attracted more than 140 guests, a record crowd for our museum. 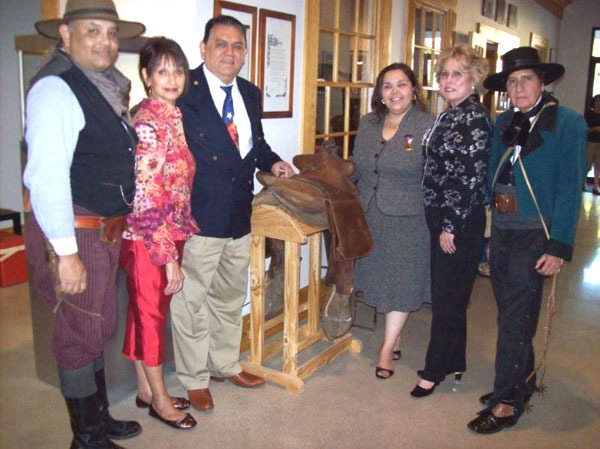 Among those in attendance were descendants of Jose Policarpio “Polly” Rodriguez (1829-1914) and longtime San Marcos residents Becky Sierra, Celia Williams, and Debbie Smith and their families, who also turned out to accept proclamations from Hays County and San Marcos officials on Tuesday. Also, Hays County Historical Commission member Ofelia Vasquez-Philo spoke of her personal recollections of Lyndon B. Johnson, to whom the museum is dedicated. 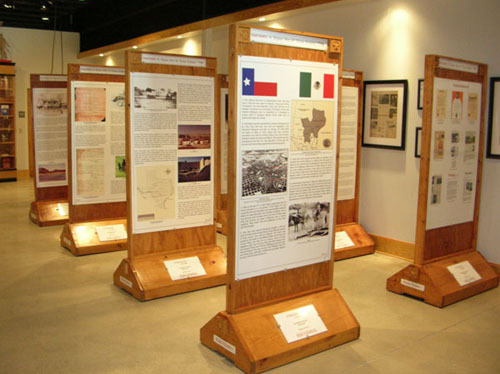 We encourage anyone to view the exhibit, which will be on display at the LBJ Museum of San Marcos from Sep. 16 through Oct. 15. Free admission. Thurs., Fri., and Sun 1 – 5 pm and Sat. 10 am – 5 pm or by appointment.